Diane Krebs is Of Counsel in the Long Island, New York, office of Jackson Lewis P.C. Her practice focuses on representing employers in workplace law matters, including preventive advice and counseling. Ms. Krebs has extensive experience in civil rights and labor and employment matters, including discrimination, harassment, retaliation, wrongful termination, defamation, civil service, equal pay, and wage and hour claims. 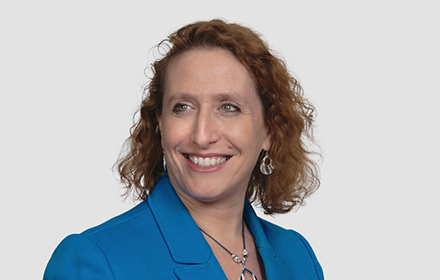 Ms. Krebs represents companies, large and small, public and private, in labor and employment litigation before federal, state and local courts, agencies, mediators and arbitrators. Ms. Krebs also provides comprehensive counseling and advice to corporate owners and human resource personnel on daily issues and personnel decisions that arise in the workplace, including reductions-in-force, emergency workplace situations, and litigation avoidance and/or minimization techniques. In that capacity, Ms. Krebs has prepared and reviewed a multitude of human resource-related documents, including employment applications, FMLA forms, disciplinary notices, performance reviews, termination letters and employee handbooks. Ms. Krebs has authored and collaborated on articles on a variety of labor and employment issues. She is also a frequent lecturer to attorneys, supervisors, and human resource professionals, not only in open seminars but also for in-house training, tailored to the employer’s specifications. Ms. Krebs also conducts sensitivity and handbook training in-house for all levels of employees, to reinforce the policies of the employer and ensure its discrimination and harassment protocols are publicized and understood – a powerful tool in the defense of harassment lawsuits.